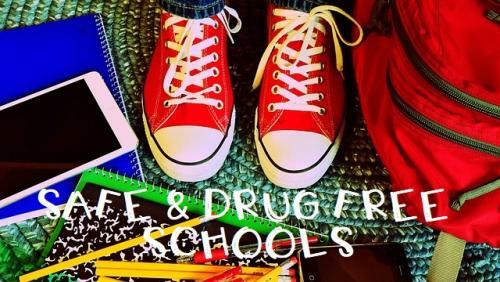 The Safe and Drug-Free Schools and Communities Project assists schools in providing each student in grades Pre-K-12 with developmentally-based, age-appropriate drug, violence, and bullying prevention education. Students in grades kindergarten through nine receive a minimum of sixteen hours of drug education and violence prevention; whereas, students in grades ten through twelve receive a minimum of eight hours of instruction in this area. The program fosters the total physical and mental wellness of all students. It also projects a "no-use” message in all prevention activities. The Safe and Drug-Free Schools and Communities Project is proud of its implementation of Lions-Quest for Growing/Skills for Adolescence for grades K-8 and supports other character education programs, such as Positive Action, Character Counts, and Boys Town. Schoolwide Positive Behavior Interventions and Support (SWPBIS) is implemented district-wide. This process provides professional development and technical assistance as needed on the school level to develop interventions and reinforcement strategies to address problem behaviors. SWPBIS is designed to ensure school safety and a positive school climate.